It has only been a few minutes since your arrival on Patmos Island. Already you are impressed by the landscape, the whitewashed streets and houses, historical buildings and unusual ambience. You are on Patmos, where many great historians walked before. You feel proud to visit too. The smell of the sea draws you away, summer is here and your holidays have just begun! 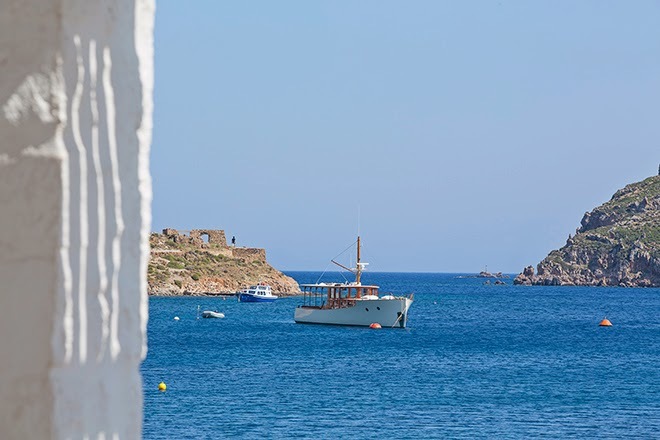 Patmos Aktis Suites & Spa is proud to accommodate you. It’s our duty to take you away from routine and help you feel relaxed with our sights, sounds and smells. Starting from our hearty breakfast, fresh baking fills the air, as traditional recipe breads and pastries are baked to perfection. A reminder of grandmother’s cheesepies, the scent of homemade jams takes you back to childhood memories of breakfast before school. As the sun climbs higher and your day passes perfectly by the pool or sea, sunscreen invokes tingling images of childhood days on the beach, jumping and swimming in the sea and feeling like you haven’t a care in the world. In the afternoon, the bubbles from an exotic drink by Theion Sea Bar transport you to another time and place. You feel completely at ease and unwind for the first time in a long time. By moonlight, your senses will sparkle at the exquisite delicacies on offer at Apocalypsis Restaurant. Chef Dimitris Pamporis wants to catch your attention while you are staying at Patmos Aktis. Expect mouth-watering aromas and the tastiest of dishes to excite your palate. Are you in heaven? You are in Patmos! Let the summer be your inspiration.